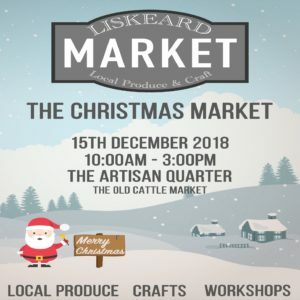 Liskeard Christmas Food & Craft Market takes place on Saturday 15th December between 10am and 3pm in the Artisan Quarter of Liskeard Cattle Market car park. 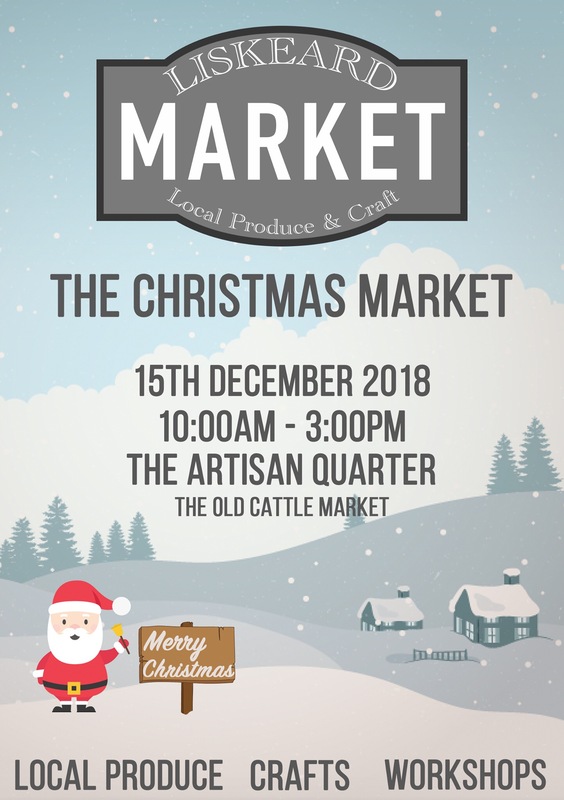 Come and stock up for the festive season on locally produced food and handmade crafts. Come and enjoy the event, it’s free and a great way to start the festive season!